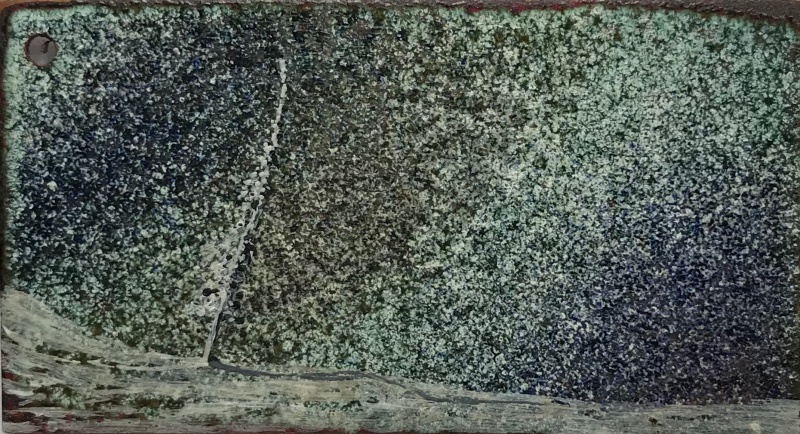 Original painting in oil, acrylic, enamel and cyanotype on copper. 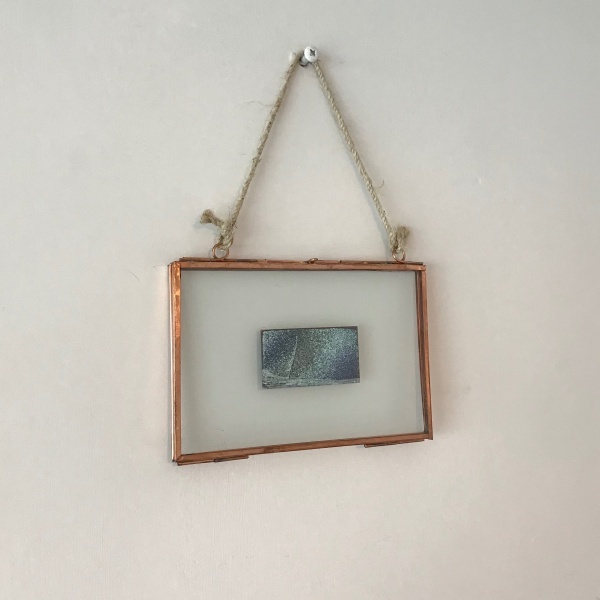 Framed in a copper glass hanging frame. (9.5 x 14.5 x 0.7cm).